b) how to get a good display on a colour television. 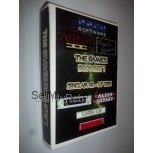 (a) is caused by the weakness of the video signal from the Sinclair ZX81 and can be cured by converting the ZX81 to composite video. 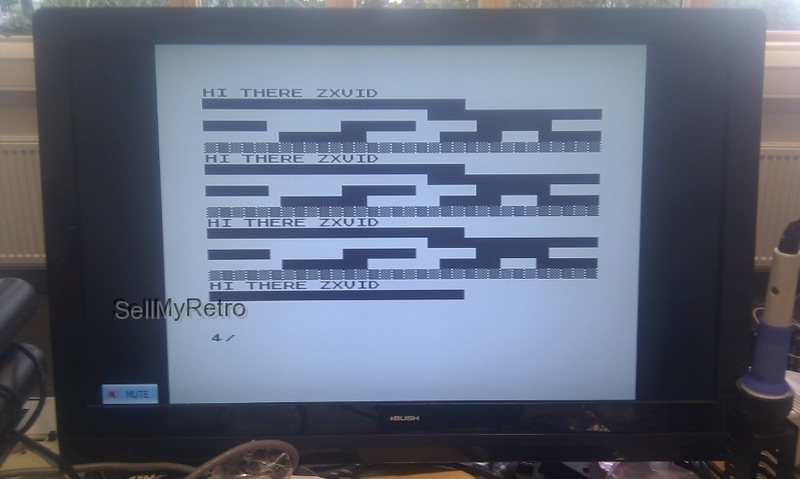 (b) is more difficult - early ULAs result in a black cursor and text against a very dark grey screen, making it impossible to view the ZX81 screen. If you can find one of the later ULAs (about as rare as hen's teeth), then this would cure the issue. We have therefore developed the ZXVid. 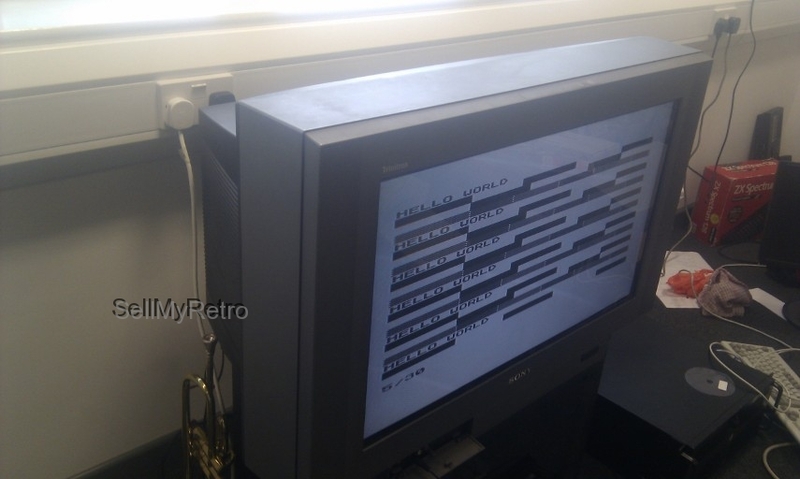 The ZXVid is a board designed by Andrew Rea which replaces the insides of the UM1233 UHF modulator on the ZX81 and provides excellent composite video output for modern televisions, and also incorporates the back-porch latch required for early ULAs which produce a very dark screen on modern colour televisions. This provides a nice neat solution, and if you require, you can even make up a SCART lead to plug into the unit. This is the self-fit version of the ZXVid - we supply the built unit (as shown in the main photo), plus the bits of wire you require. A link to the fitting instructions appears below..
You have to then remove the two wires which currently run from the ZX81 motherboard into the side of the UM1233 UHF modulator, and fetch out the interior circuits which are built into the modulator. 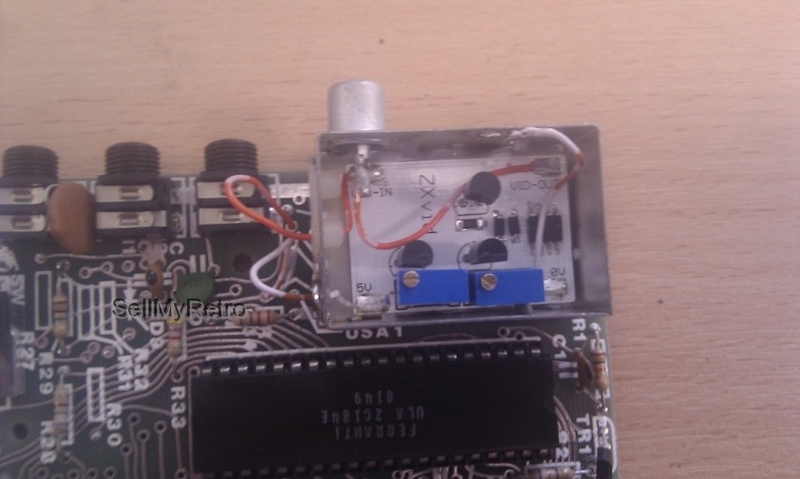 The ZXVid unit then fits inside the modulator, and you need to connect two new wires to the ZX81 motherboard, solder a couple of wires inside the UHF modulator itself and connect the composite video lead. A return to base fitting service - simply send your ZX81 to us, and we will fit the ZXVid for you. See our other auctions for the alternative options. 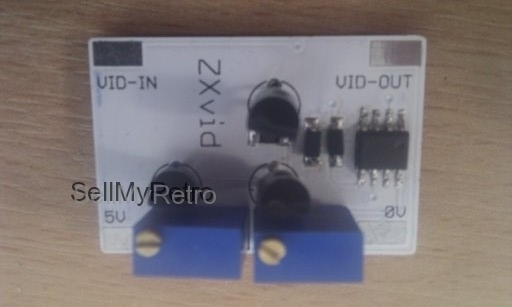 The ZXVid Module can also be used with the Timex-Sinclair T/S 1000 and the T/S 1500. Please specify if you wish to use it with the T/S 1500, as that requires a longer wire. Pregunta Can this be used to give a Comp Video output on the ZX80 please ? Pregunta Are you still doing the ZXVid unit built into a UM1233 UHF modulator. If yes how much do they cost. Resposta: Unfortunately no as we can't find any spare UHF modulators or they are too expensive! 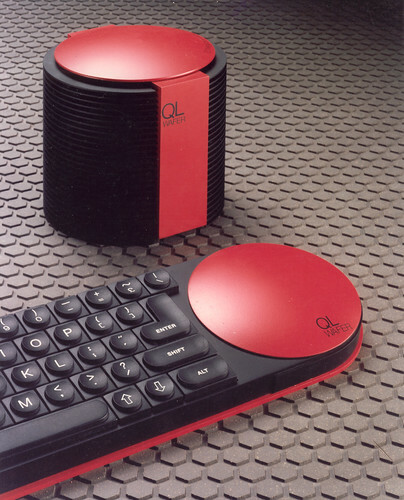 Pregunta Will is work with a USA version ZX81? How much is shipping to USA zip 16801? Resposta: Yes, it works with all versions of the ZX81 - if you have a TS1500, you need the longer lead for the unit (so please let us know when ordering). Postage charges appear underneath the price at the top of the listing, or click on the Shipping and Payment tab. Pregunta will this work on TS1000? Resposta: Yes - several people have implemented it on the TS1000 without difficulty - we just need to provide a longer wire! We are happy to combine shipping wherever possible in order to reduce overall postage costs. Items normally shipped within 1 working day of payment being received.